A man is due to appear in court today charged with the murder of a toddler in Hull. Jonathan Garner and former partner Samantha Gregson appeared before Hull Magistrates' Court yesterday over the death of a 22-month-old girl in February 2014. Jonathan Garner andformer partner Samantha Gregson are due to appear at Hull Crown Court. 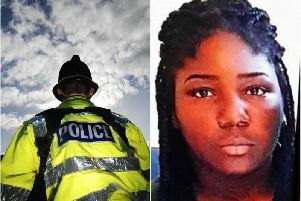 The pair, both aged 25, were charged following an extensive and complex investigation by Humberside Police that spanned four years. Garner, of Thirlmere Avenue, Hull, is charged with murder and failing to protect a child. Magistrates yesterday remanded him into custody and committed the case to crown court for a hearing today. Gregson, of Melling Close, Chesterfield, appeared alongside him to face a charge of failing to protect a child.